These are the ultimate zippered tote bags! 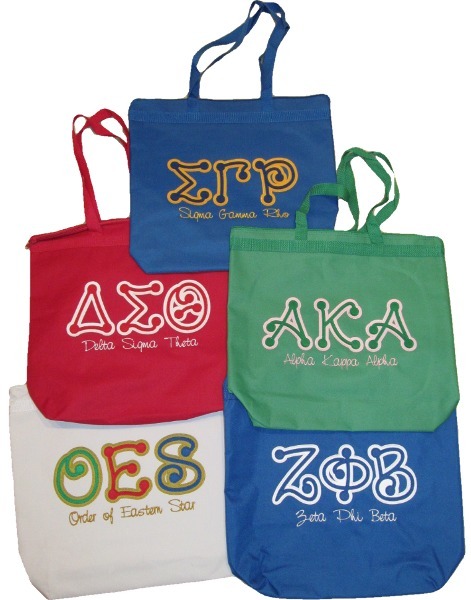 Casual dot letters and swirly embroidery decorate these large, colorful totes. Your organization's letters and full spelling are the highlight of these bags which measure about 18" long, 16" wide and 6" deep.